Wouldn’t it be great if there was a wonder-food you could consume in as large a quantity as you desired, without the worry of any negative effects? Unfortunately, until we discover such a food, we’re stuck watching our figures and carefully crafting our diets to ensure we stay healthy and fit. However, there are some foods you can prioritize over others that, because of a mixture of factors, are actually capable of filling you up better than others. Foods high in protein and fiber are the main focus here, because they live up to that promise. So, without further ado, here are 9 filling foods. 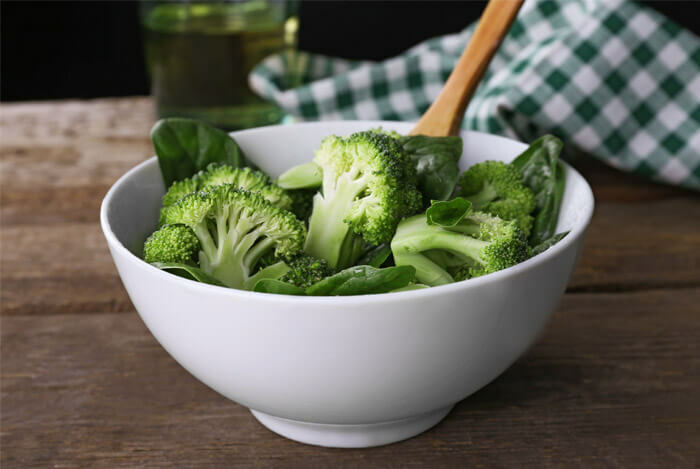 Broccoli has a high fiber and water content, meaning it’s got relatively few calories per serving. If you’re ever trying to figure out the best way to fill your dinner plate, covering half the plate with broccoli is a good way to fill yourself. Because of how packed broccoli is with fiber, it’ll also keep your digestion regular. And, thanks to broccoli’s high amounts of calcium, it will support strong bones. Some consider eggs to be the gold standard of protein. Ever seen that movie where the guy drinks a glass of raw eggs every day for breakfast? You know the one. There’s a reason for it. Eggs are cheap, can be made in countless ways, and are one of the most convenient ways of getting nutrient-rich protein. 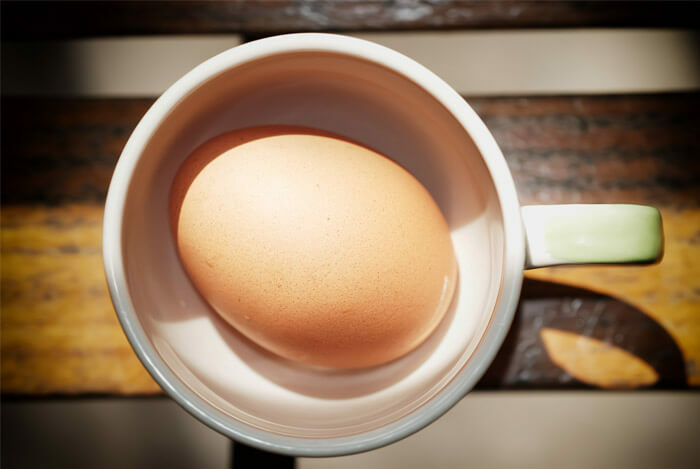 Additionally, eggs also contain vitamin D.
So, if you’re looking to get a great protein kick start to your day, crack open some eggs. While most of us still may find trouble pronouncing quinoa (keen wah), it’s without a doubt a food we should get more comfortable with on the dinner table. Quinoa is high in something called complete protein, containing all the essential amino acids necessary for your dietary requirements. These are typically found in lean meats, poultry, fish, eggs and dairy. That means eating this plant-based food will give you some of the key benefits of eating meat. Take note, vegetarians and vegans. Although the amounts are small, it helps. Quinoa is also a great source of fiber. 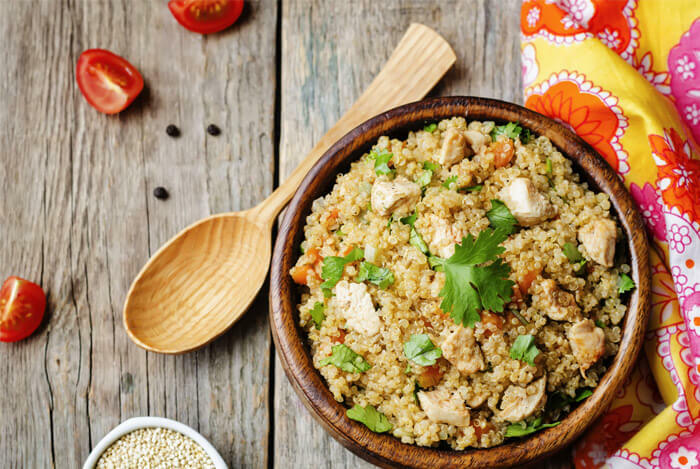 Because of this generous amount of fiber, quinoa can help you lower your cholesterol, improve colon health, and increase satiety – leaving you feeling fuller after eating it. There’s been considerable fuss in the media lately concerning red meats. Some suggest it may be carcinogenic, while others laugh at the notion and encourage people to eat red meat on a regular basis. I’m comfortable letting science get to the bottom of it while continuing to eat lean beef on occasion. 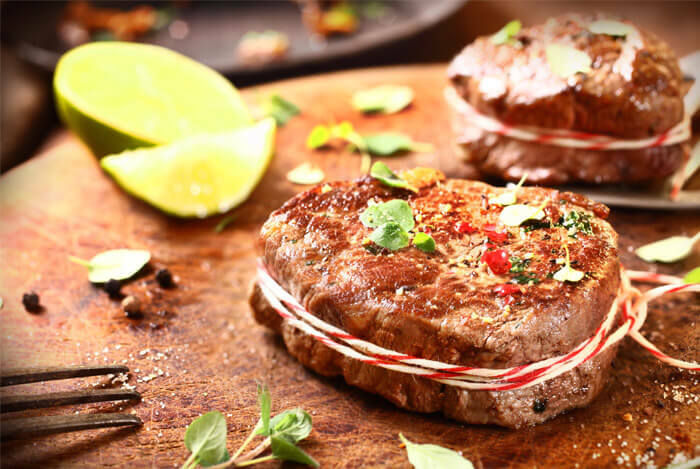 One thing we can be certain about is how incredibly high lean beef is in protein, vitamin B12, and iron. However, beef is most certainly not a zero or negative calorie choice. It can be quite high in fat, so be sure to fit it into your daily macro goals. I’ve been on something of a salmon kick lately. Why is this? I know what you’re thinking: Isn’t salmon full of fat? Yes, it certainly is. 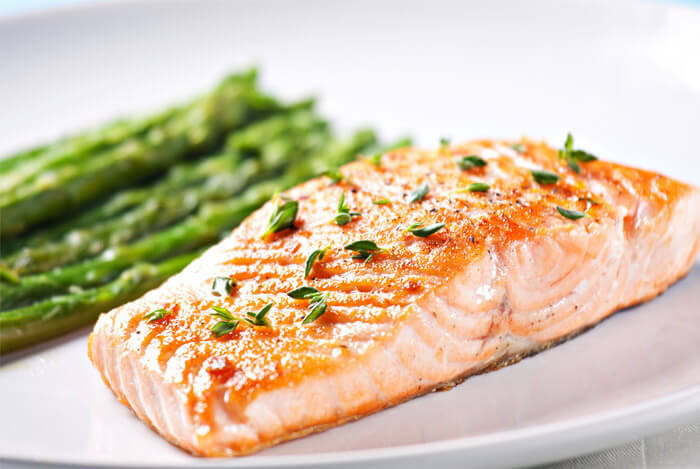 But, salmon contains long-chain omega-3 fatty acids which, if you didn’t know by now, are super beneficial to both body and mind. Remember how earlier I was talking about finding something perfect to fill your plate? If broccoli is half your plate, a great complement would be a generous portion of wonderful, delicious salmon. 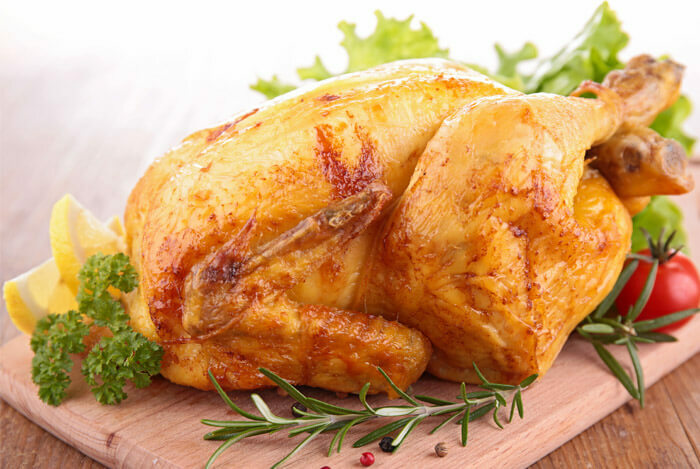 Chicken is one of the best sources of protein out there. While chicken may contain more calories than veggies, it will provide your body with enough energy and proteins that will prevent you from feeling excessively hungry throughout the rest of the day after you’ve eaten it. Here’s a food that is only recently beginning to make its mark on the mental landscapes of health-conscious meat eaters – bison. If you’ve never had it, I’d encourage you to try it out as soon as you get the chance. Bison is leaner than even the leanest beef out there. 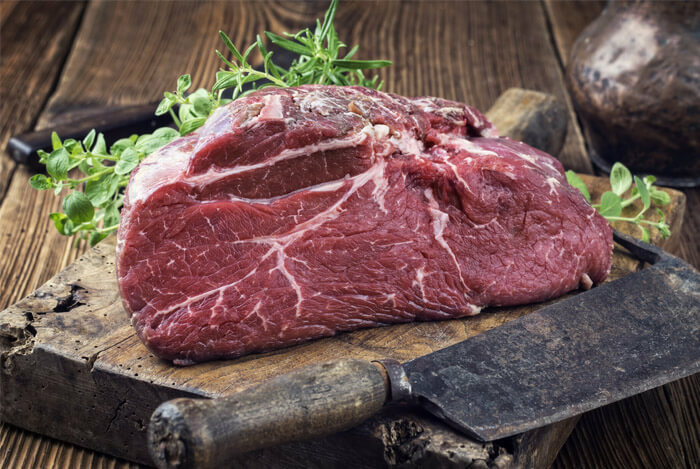 A 3.5 ounce serving of bison contains only 2 to 3 grams of fat compared to the considerably higher 8 to 9 grams in a similarly sized cut of beef. 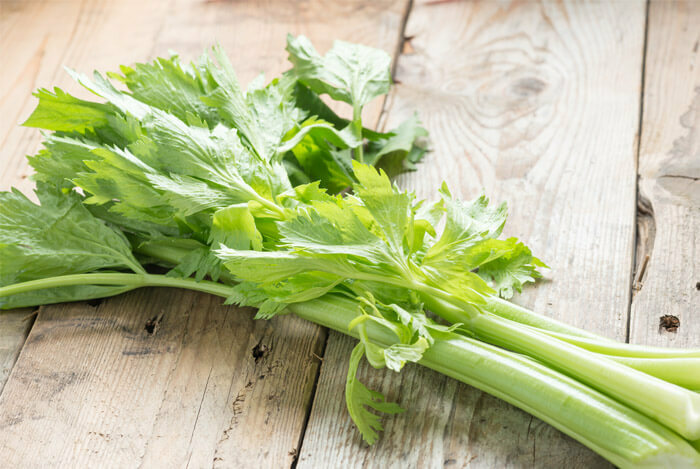 Celery is often referred to as a “negative-calorie” food. While that isn’t an accurate description, it’s so hard to overeat that it’s not worth worrying about the calories from celery. And, some people really enjoy the taste of celery. If you’re one of them, you should absolutely include it more often in your diet routine, because its nutrients (vitamins C, A, and K) are awesome, its fiber will boost your digestive health, and you can eat it to your heart’s (and belly’s) content. These little green guys are sadly under appreciated and underutilized in the health community. This may be because of an aversion some people have developed to them, especially considering how often they might have seemed like the most boring part of the dinner plate when we were children. But they deserve much more respect than that, for sure. 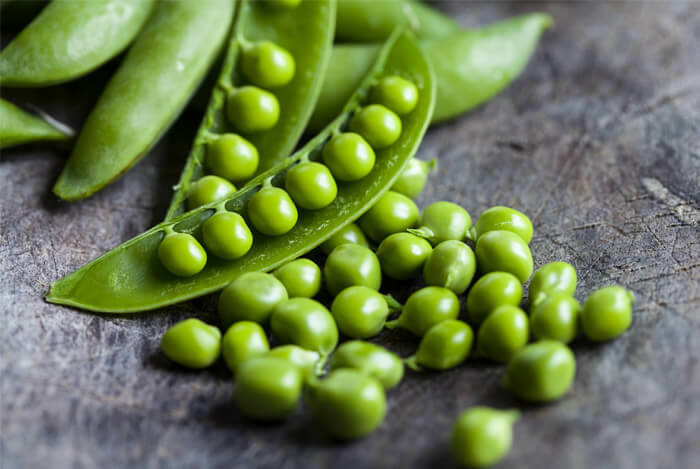 Peas are a great source of fiber, micronutrients, antioxidants, and other vitamins and minerals that make them a powerhouse of nutrition. A single cup of peas has less than a hundred calories, but packs all of these nutritional benefits. That wasn’t so complicated, was it? The majority of these foods are probably already in your kitchen if you keep it well-stocked, and if not they aren’t hard to find. One of the best things I’ve found about this list is that the foods I included on it work exceptionally well together. So, start mixing and matching these foods on a regular basis into your well-balanced diet. What’s your take on filling foods? Have anything else you’d like to share? Let me know in the comments below!